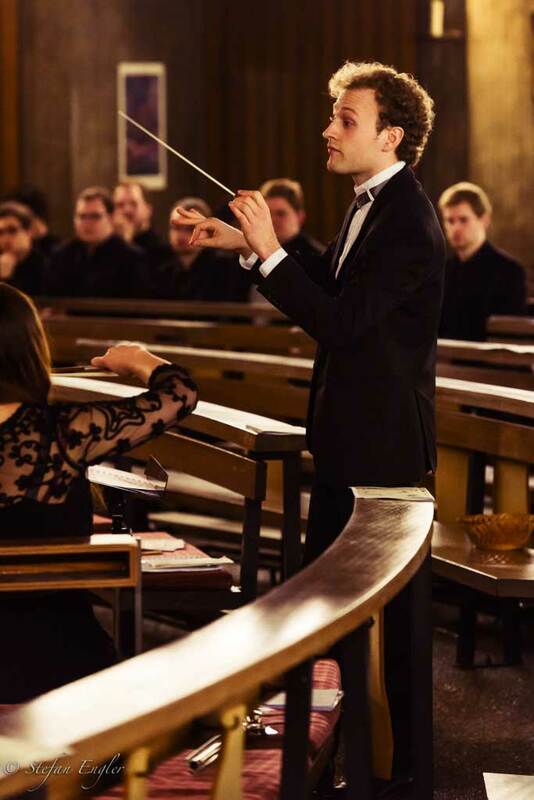 Andreas Luca Beraldo studied orchestral conducting with Arturo Tamayo, Marc Kissóczy and Klaus Arp, choral conducting with Frieder Bernius, Georg Grün, Harald Jers and Christoph Siebert and school music with Robert Göstl and Andreas Winnen in Lugano, Mannheim and Cologne. He also received important impulses in masterclasses with Michael Luig, Hans-Christoph Rademann, Kaspars Putnins, Adriano Martinolli, Kurt Suttner, Jean-Philippe Wurtz and Peter Eötvös. He has conducted at important festivals for contemporary music such as CAFe Budapest, oggimusica in the Italian Switzerland, Forum Neue Musik in Mannheim and the Festival Risonanze Armoniche in Italy. He has worked in renowned venues such as the BMC Budapest Music Center in Hungary, the LAC / Lugano Arte e Cultura in Switzerland or the YAMAHA Concert Hall in Vienna. Beraldo has been on the podium of numerous orchestras such as the Orchestra of Italian Switzerland (OSI – orchestra della svizzera italiana), the Baden-Baden Philharmonic Orchestra, the Plovdiv Philharmonic Orchestra, the Karlovy Vary Symphony Orchestra, the Württemberg Chamber Orchestra Heilbronn, the Stuttgart Chamber Orchestra and the Kurpfalz Chamber Orchestra. He has also conducted the “900 presente” ensemble of the Conservatorio della Svizzera Italiania on several occasions. Among the choirs Beraldo has conducted are the University and Chamber Choir of the Musikhochschule Mannheim, the Gächinger Kantorei Stuttgart, the Junges Ensemble der Liedertafel Mannheim, the Ensemble Vocapella Limburg and the Beethovenchor Ludwigshafen. Beraldo has a great interest in promoting contemporary music, which is reflected not only in his conducting activities and the premieres of numerous works but also in founding an ensemble and a publishing house highly devoted to contemporary music. Since 2012 he has been chairman and conductor of the ensemble “Impronta – Ensemble für neue Musik e.V.” and since 2014 managing director of the music publishing house “Impronta – Edition UG”. Both the ensemble and the publishing house were founded by him together with violinist Jeanne Vogt. He also studied arranging and orchestration with Andreas N. Tarkmann. Many of his works have been published by “Impronta”. His orchestration of Claude Debussy’s “Six Épigraphes Antiques” is distributed by Alkor / Bärenreiter. In 2014, in cooperation with ARTE and ZDF, he conducted for the recordings of Charley Bowers’ soundtracks for four silent films. In 2018 he was invited as a jury member to the international competition for conducting in contemporary repertoire “Giancarlo Facchinetti” in Brescia. He currently lives and works in Mannheim.